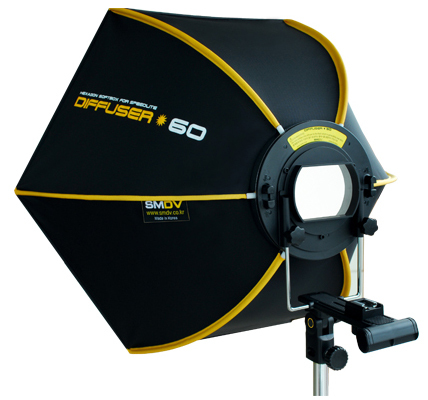 We were recently sent a copy of the SMDV Speedbox Diffuser-60 from the kind people at Foto-Morgen, a German photographic retailer. The Diffuser-60 is a Korean-made 60cm hexagonal softbox designed to fit small camera flashguns, with smaller 50cm and 40cm versions also available. From experience, the first thing I would compare this softbox to is the Firefly Beauty Box from Aurora Lite Bank — also made in Korea — which I reviewed a while ago. 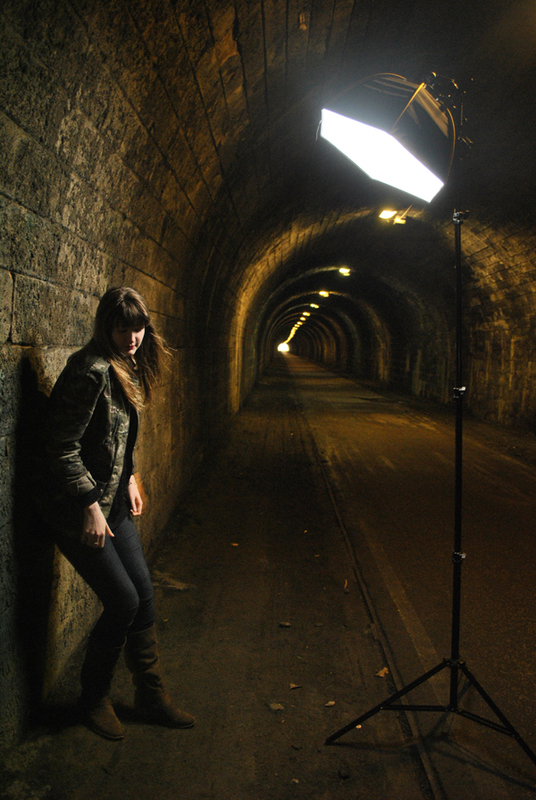 Indeed, when set up the two softboxes look pretty similar, but their opening mechanisms are completely different. Whereas the Firefly had a great big chunky slider inside it and opened up like an umbrella, the Diffuser-60 is a bit more like a tent. The Diffuser-60 comes with a nice carrying case to keep all the bits together. 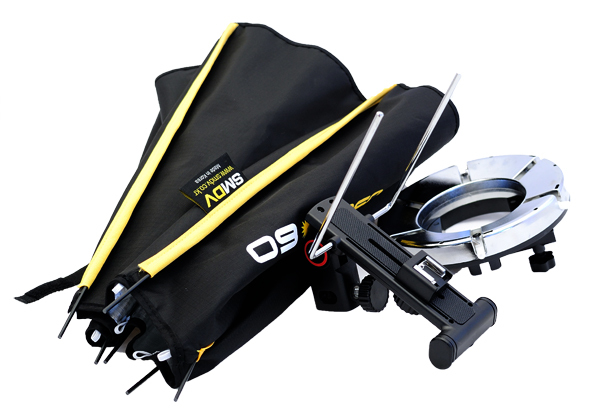 It is lightweight, has a shoulder strap and two normal handles, fitting the components of the softbox with room to spare (enough to put a speedlight in, if you bring your own padding). 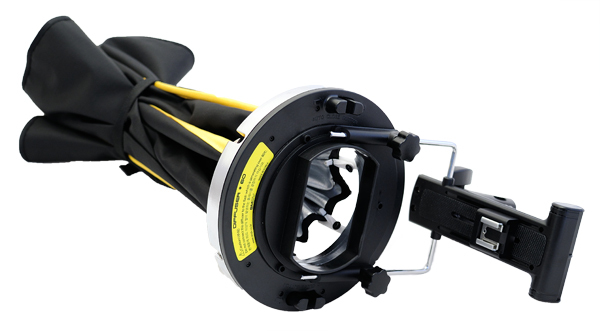 It is just a little bit shorter than a Manfrotto compact light stand, so while you can’t put the stand inside the bag you could certainly bungee it to the side for a quick-grab lighting kit. One of the best things about this light modifier is that it is made up of only three parts: the speedring, the tilt bracket and the canopy. Unlike a tent or a traditional softbox, you don’t need to spend half an hour threading poles through the fabric, since the rods need never be removed from the material unless they break (and SMDV helpfully provides a couple of spare rods in the box if that happens). Instead, you poke the end of each pole into the speedring, then pull each one back until it clicks into place. To release them again, squeeze two levers on the back and the whole thing will collapse, making a loud noise like a gun going off in the process. What’s more, if you forget to do up some fiddly elastic loops then the canopy will be projected across the room. You have been warned! When the canopy is attached to the ring, it’s just a matter of putting it on the tilt bracket so you can fit a flashgun and then mount the whole thing on a light stand. The height can be adjusted and you can move the speedlight backwards and forwards until the head pokes directly into the softbox. The bracket itself feels quite plasticky compared to the Aurora Firefly, which is all metal, and the tilting mechanism isn’t the strongest-feeling in the world. The softbox is so light that the hammerhead-shaped “grab handle” on the back seems a bit pointless, until you need to hang something like a flash trigger or a battery pack by a lanyard, at which time it becomes ideal. When everything is set up for the first time, after that you can get away with just separating the tilt bracket from the rest of the apparatus and you have a softbox that assembles in seconds. Right, that’s enough of how to put it together. What does it do to the photons that pass through it? The Diffuser-60 has two layers of diffusion in it, the outer sheet of which is actually stitched into the softbox frame so that you can’t remove it even if you wanted to. This is a plus in my book, since it takes a step out of the assembly process. 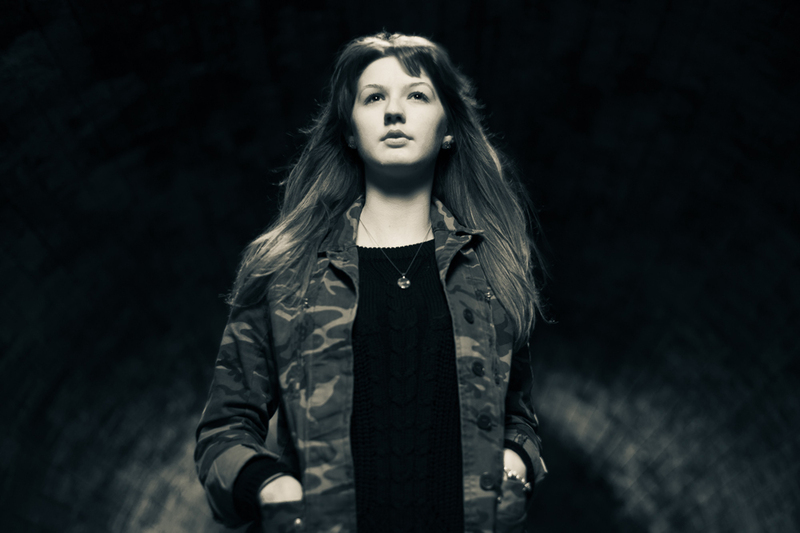 The two layers of fabric effectively mean that your light will spread out and create a much larger light source, which is ace for portraiture and some product photography applications. A quick perusal of the photos taken with this modifier shows that there is no noticeable colour shift and the transmission of light is rather efficient. In practice, the fact that the Diffuser-60 barely weighs anything is both a blessing and a curse. A blessing because you can have it high up on a light stand and need no sandbags or counterweights to prevent it tipping everything over. Unless it’s windy, in which case it can catch the air when you don’t want it to. But a bit of common sense will keep your gear safe. 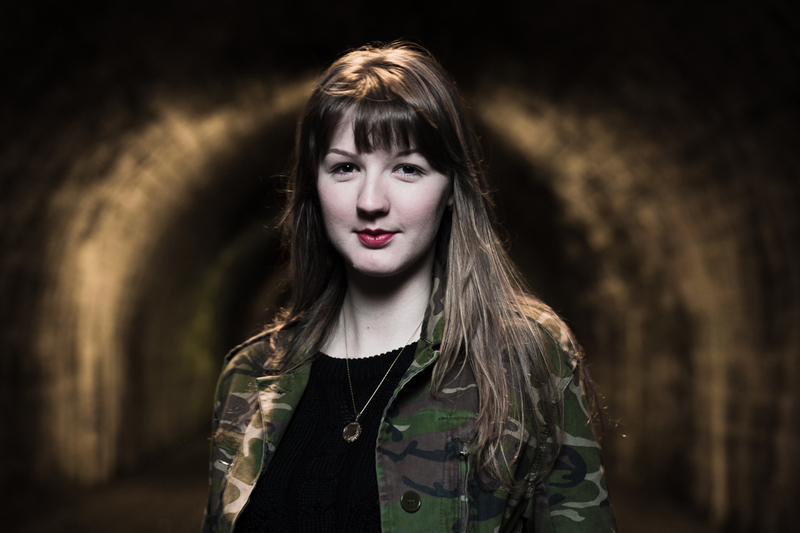 I went with my friend Kathryn to an old 19th century railway tunnel to take some photos. Even with occasional gusts of wind going through (as one gets used to in Edinburgh) the setup was balanced enough that it never tipped over, though we kept a close eye on it to be sure. The handle-mount on the back has proven a handy spot for hanging radio triggers, such as the PocketWizard PlusX we have been testing this week. My Yongnuo speedlight fitted perfectly through the speedring, but getting the Cheetah Light CL-180 with its big bare-tube head to fit through the same gap was a bit more of a challenge. Still, the tilt bracket once again provided a good place to hang the external battery pack. 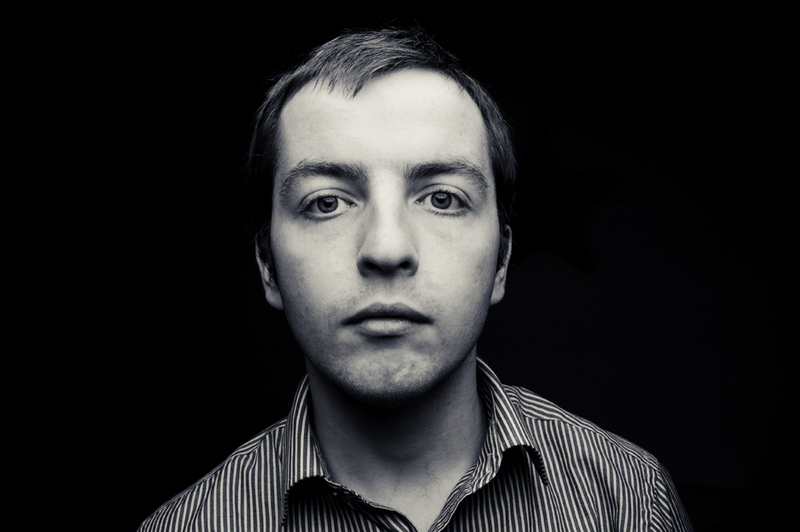 Results are pretty nice when the softbox is metres away from the subject: soft edges to shadows and not too much spill, despite the lack of a recessed front or any sort of grid attachment (though one of those would be nice). When you bring the Diffuser-60 in very close, the light looks its best and the hexagonal catchlights seem quite natural. This is by far one of the most elegant ways of getting soft light out of your little hotshoe flashes. It is much easier to set-up than a Bowens-speedlight adapter and folds more neatly than the Aurora Firefly Beauty Box, plus the sewn-on diffuser is one fewer thing to lose. The build quality isn’t equal to the Firefly but it’s still pretty decent. 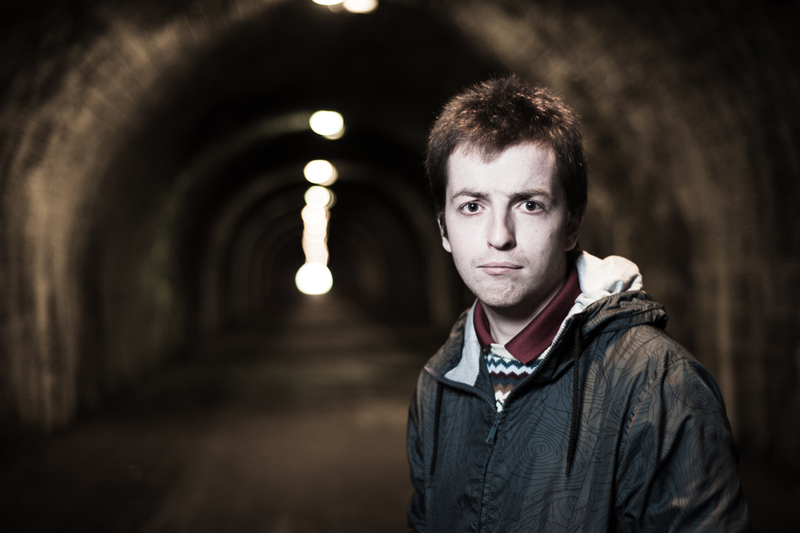 If you primarily use small speedlights then you can’t go far wrong with the SMDV Diffuser-60. If you use studio lights or bigger flashguns (like the CL-180) half the time then your money might be better spent elsewhere, since if you’re dropping £120+ on a lighting accessory you want to get a lot of use out of it. Thanks to Foto-Morgen for providing the sample in this review. 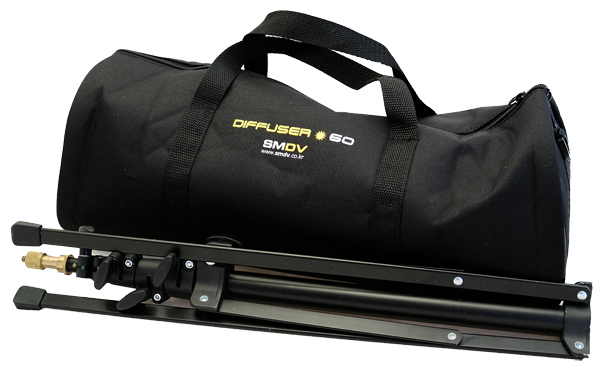 You can buy the SMDV Speedbox Diffuser-60 from their store for €128.90 here and they ship internationally. We weren’t given any pre-conditions for writing a positive review. It’s on sale in other places too, such as Calumet, where it is called the Speedbox Hex 21, or on eBay.